That's It? That's the "Good News"? Forever and ever? That's it? That's the "good news"? And then we sigh and feel guilty that we are not more "spiritual." We lose heart, and we turn once more to the present to find what life we can. Eternity ends up having no bearing on our search for life whatsoever. It feels like the end of the search. And since we're not all that sure about what comes after, we search hard now. Remember, we can only hope for what we desire. How can the church service that never ends be more desirable than the richest experiences of life here? It would be no small difference if you knew in your heart that the life you prize is just around the corner, that your deepest desires have been whispering to you all along about what's coming. You see, Scripture tells us that God has "set eternity" in our hearts (Eccl. 3:11). Where in our hearts? 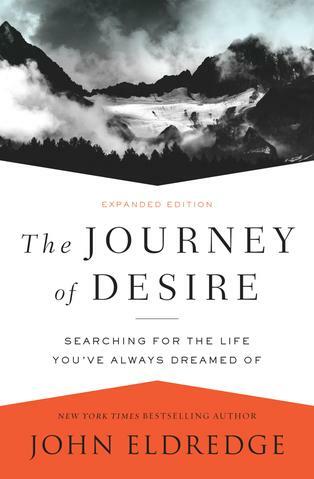 In our desires. The return of spring brings such relief and joy and anticipation. Life has returned, and with it sunshine, warmth, color, and the long summer days of adventure together. We break out the lawn chairs and the barbecue grill. We tend the garden and drink in all the beauty. We head off for vacations. Isn't this what we most deeply long for? To leave the winter of the world behind, what Shakespeare called "the winter of our discontent," and find ourselves suddenly in the open meadows of summer?